SOMA Messenger: This app is specially created for social networking buffs. We can download SOMA Messenger For Android and iPhone/iPad for free on this article. This is the world’s fastest messenger app which is uniquely created to send free messages, phone calls and HD video calls. 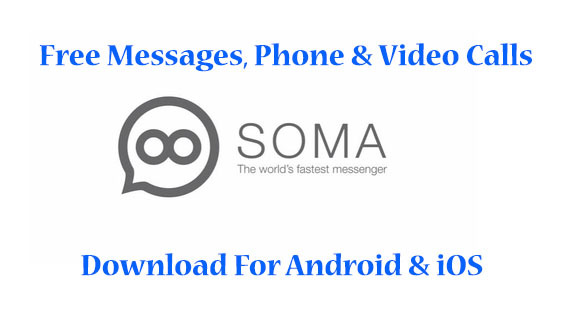 In this article, I’m going to explain the step-by-step process to install SOMA messenger app on your smartphones. If you ever consider security is your priority then you must choose this as your favorite chatting app. This app is using 2048­bit RSA and 256­bit AES for maximum security. So, your messages are like ‘air’ which cannot be seen. Yes, we recommend this app for security as well. Some apps give free version at the starting stages and then asks for payments but this app developer promised that SOMA messenger is totally free of cost forever. Here in this post, I’m going to give you direct official links to download SOMA Messenger app on your Smartphones of both kinds; Android and iOS (iPhone/iPad). Best way to install Any app is from Playstore of Android & iTunes. Get the links below..
That was the procedure to download this social networking app from official Play store sites. And the other way is from the Play store app which is already installed on your Android smartphone. As I mentioned earlier, the SOMA social networking app is very fast compared to other apps. Very secure to use in any country. Developers of this app said this is free for any user of a lifetime. You have the ability to make any number of free calls to your loved ones, family & to anyone from anywhere around the world. Not only voice calls from this app, but also HD video calls is the best feature included. Wow! Groups can be created with around 500 members. Like we can know the message status on Whatsapp, SOMA (South of Market) Messenger gives the info on delivering confirmation. EMOJI icons are one of the assets for this app. Express your emotions with inbuilt emoticons. Do not compare this app with Whatsapp or Hike. Every app has its Pros and Cons. So stop blaming this app and wait until it’s next version. There will be some bugs fixed if we get new versions of this app. Till now, I’m going good with this messaging app. Are you using this wonderful social networking app on your Smartphone? 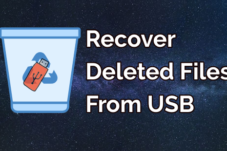 Did you get any errors/issues while installing this app? Feel free to leave your comments below. We will help you within hours. Kindly share this article in different social media to make other people know the opportunities like Whatsapp.